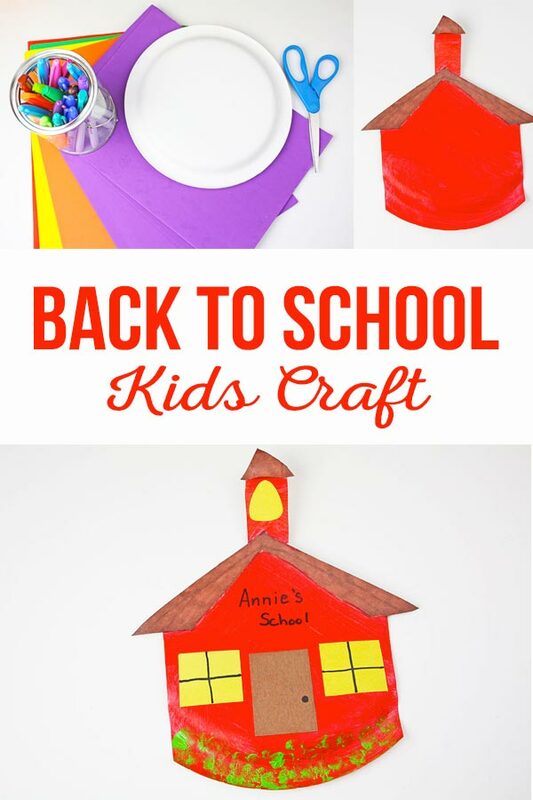 Celebrate back to school with Ella and Annie’s back to school preschool craft! 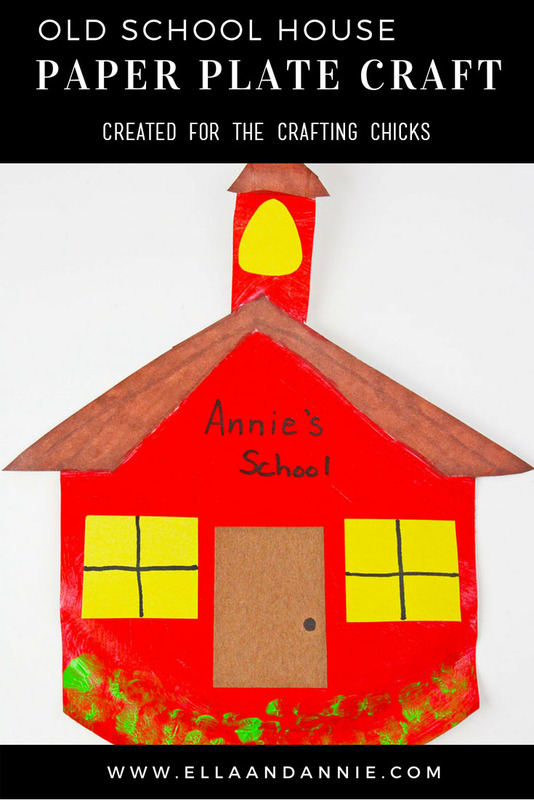 It’s the perfect preschool and kindergarten craft to get the school year started. Share with the kids how different school is compared to 60 years ago! Ask them what they like best about school and how they think it could be better. On another note, doesn’t it surprise you what you can create with a simple white paper plate? 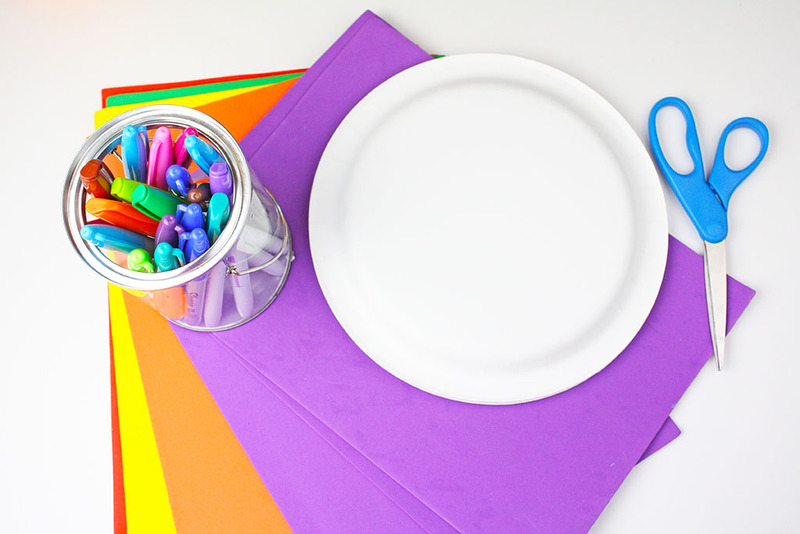 Check out what you need to make our easy paper plate old school house craft for back to school. Trace the shape of the school house into the paper plate. Use scissors to cut out the school. We just looked a picture of a school house clip art and traced the shape based on that. Using brown marker or sharpie, color in the roof. 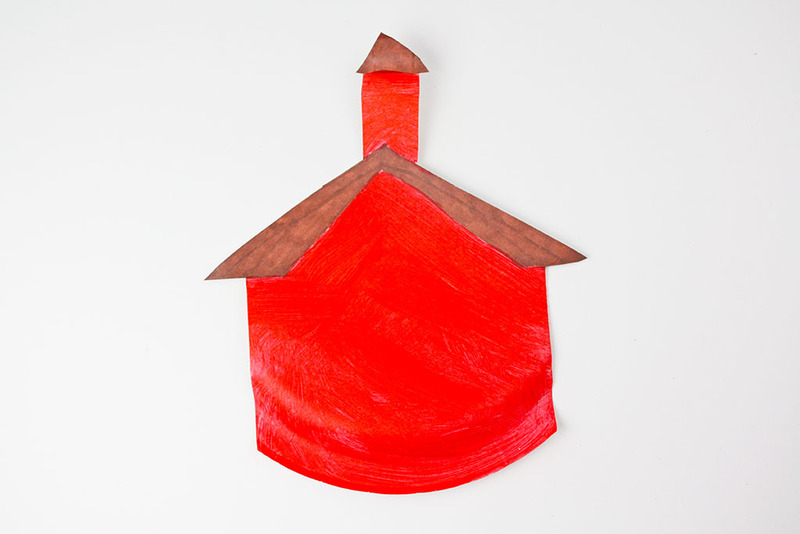 Use red paint to fill in the rest of the school house. Let the paint dry. Cut two yellow squares for windows and a yellow gum drop shape for the school bell. For the door, cut a brown rectangle. 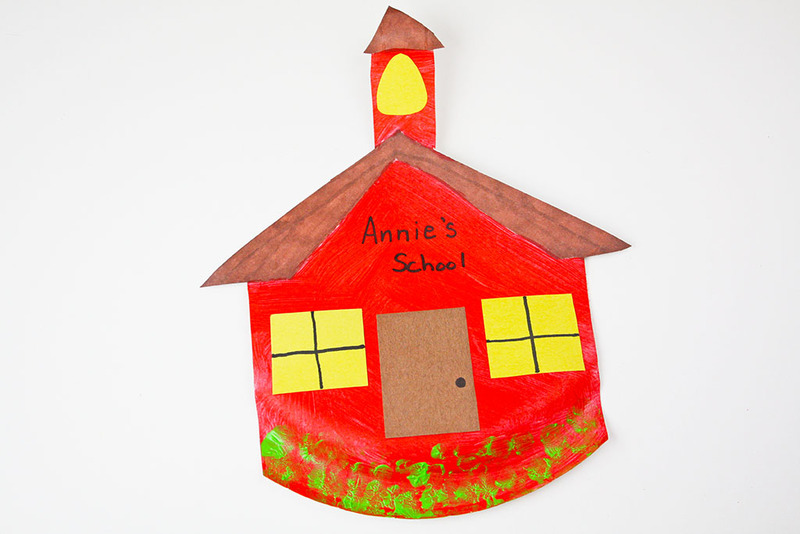 Glue the door, windows and bell onto the paper plate old school house. Talk about the shapes you are adding to the school house. Let kids pick different shapes for the windows and door. Draw lines on the windows and a door knob onto the door. Using green finger paint, paint green grass on the front of the school. Have each kid write their name across the top. There you have it; a paper plate old school house! How cute is our back to school craft for the new school year? 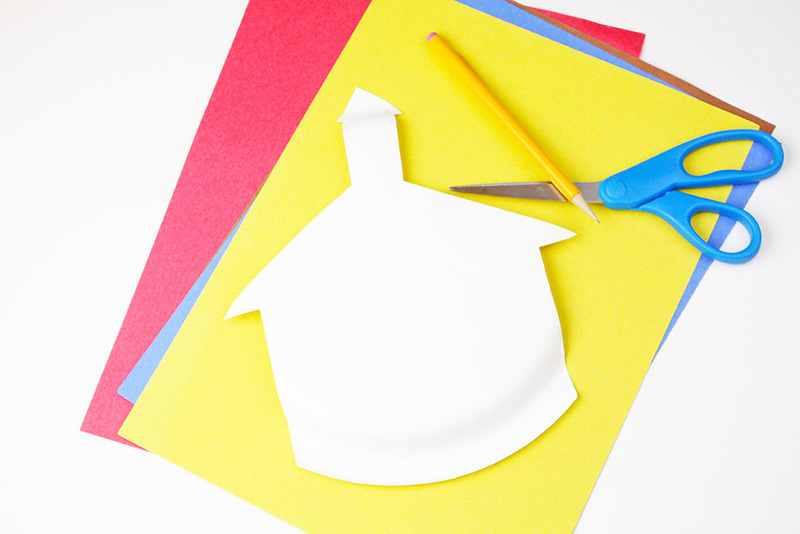 Kids of all ages will love making Ella and Annie’s paper plate old school house craft. For more fun crafts, DIY projects and more, follow us on Instagram and pinterest!